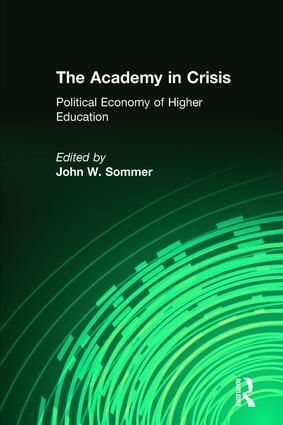 The Academy in Crisis is a provocative contribution to an important debate….The costs of goverment support for American universities are not negligible. They include stress on some of the core values of universities and of science-vaules like openness, collaboration, and collegiality-and pressure, too, on other central institutional responsibilities, such as the education of undergradutes. Robert M. Rosenzweig, former president, Association of American Universities. American Higher Education: State of the Art or Art of the State?